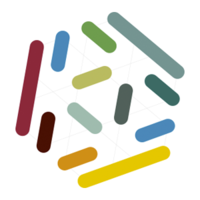 Targetprocess is an agile project management software that focuses on information visualization and freedom. It helps to track projects using Scrum, Kanban or other agile practices. Kanban Tool is an intuitive solution used for visual project management and process work flow management with seamless time tracking and time reports. It allows to visualize workflow, manage tasks and projects with online Kanban boards and cards. Acunote is an agile project management tool and Scrum software. Companies from 1 to 100,000 people use it to manage software development, IT project management, and as an online project management software for the whole company. Why do developers choose Targetprocess? Why do you like Targetprocess? Why do developers choose Kanban Tool? Great for staying on top of the work, love it. Ease of use and endless customization. Why do you like Kanban Tool? Why do developers choose Acunote? Why do you like Acunote? What are the cons of using Targetprocess? What are the cons of using Kanban Tool? What are the cons of using Acunote? How much does Targetprocess cost? How much does Kanban Tool cost? How much does Acunote cost? What companies use Kanban Tool? What tools integrate with Targetprocess? What tools integrate with Kanban Tool? What tools integrate with Acunote? What are some alternatives to Targetprocess, Kanban Tool, and Acunote? 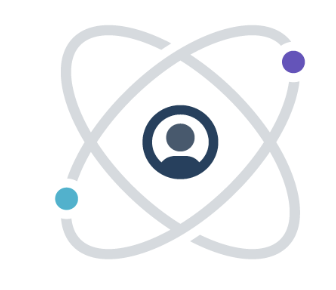 Pivotal Tracker - Build better software, faster. Sprint.ly - Don't ask how projects are going. Watch how they're going in real-time. You Like Kanban? Like Kanban Tool! 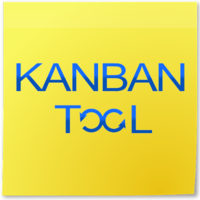 Kanban Tool is a very nice software to kanbanize your work. It's user friendly and intuitive. From the Library you can learn everything about Kanban and Kanban Tool so even if you are a newbie you will get it quickly. But what I like the most it the time tracking. This function makes Kanban Tool stands out against other task management tools. If you know how much time you spend on each task you can better plan your work. And that's important! So if you want to be better organized and have a full control on your work, Kanban Tool is a good solution for you. Kanban Tool is the best task management software we've ever used. We tried different approaches and different tools but I must admit there had alway been something missing. We decided to try KT, because we read a lot of companies, including RollsRoyce, use it. And we don't regret. It offers a lot of options for customization and you can use it so it suits your company's needs. It provides detailed analytics and seamless time tracking. If you want to go agile I really recommend it. I'm still on my free trial period (30 days) but I like the program a lot so I'll much likely sign up for one of the plans - the price is really fair for what the program has to offer! I use it both for personal side-job project but also I implemented it at my office for teamwork as we were looking for something with a time tracker. Works really perfectly in both and I really like it's simplicity - other kanban method-based apps can sometimes be too much. I am a part of a big project than often deals with several deadlines. Although we are all hard-working target- oriented team, we do have impression that we spend too much time on particular tasks. Kanban helps us to control our daily tasks and what is more important finally we know how much time we spend and who needs support in order to complete his responsibility. I would definitely recommend it to organize a team-work. Afer using Kanban Tool for a few months now I can say that the greatest feature it offers is the feeling of control over my work. Managing various projects has become easier and more visible, and consequently, I get an overall outlook on my performance. If you feel that you cannot handle organizing your daily tasks, you will definitely benefit from using Kanban Tool.